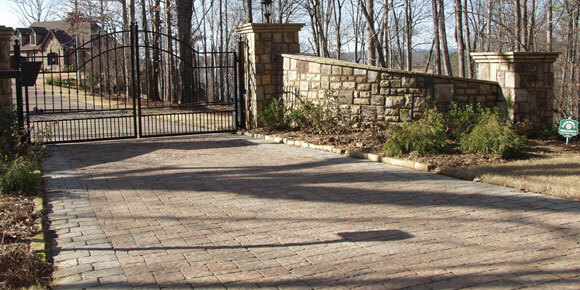 Hardscape construction has become an integral part of landscaping and ACS Landscape Management provides the most complete range of services available. While colorful flowers and stately trees certainly look good on their own, they can be made to look even better with the right hardscape elements. Decks, paver patios, pools, ponds and even retaining walls can bring added form and function to your property while complementing your landscape's natural components. Any outdoor space can be transformed to meet your needs and we offer a wide variety of hardscape options to suit your needs and budget perfectly. We have the planning and construction expertise needed to prepare solutions for your home's architecture and setting. Whether an attractive, low maintenance landscape or specialty garden is the goal, we will devote as much care and attention to your project as it needs..
With a well designed landscape plan in hand, our team of professional hardscape craftsmen, foremen and crews are ready to create your landscape dream.